Saiid Zarrabian has served as our director since July 7, 2017, Chief Executive Officer since November 3, 2017, and President since January 1, 2018. Since October 2016, Mr. Zarrabian has served as an advisor to Redline Capital Partners, S.A., a Luxembourg based investment firm. From 2012 to 2014 he served as Chairman and member of the Board of La Jolla Pharmaceutical Company during which time the company transitioned from an OTC listed company to a NASDAQ listed company. From 2012 to 2013 he served as President of the Protein Production Division of Intrexon Corporation, a synthetic biology company. 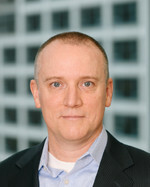 He has also previously served as CEO and member of the Board of Cyntellect, Inc., a stem cell processing and visualization Instrumentation company until its sale in 2012, as President and COO of Senomyx, Inc., a company focused on discovery and commercialization of new flavor ingredients, and as COO of Pharmacopeia, Inc., a former publicly-traded provider of combinatorial chemistry discovery services and compounds, where he also served as President & COO of its MSI Division. In addition, Mr. Zarrabian has served on numerous private and public company boards, including at Immune Therapeutics, Inc., Exemplar Pharma, LLC, Ambit Biosciences Corporation, eMolecules, Inc., and Penwest Pharmaceuticals CO. His other experience includes COO at Molecular Simulations, COO of Symbolics, Inc., and as R&D Director at Computervision, Inc.
Dr. Dennis Brown, PhD, has been our Chief Scientific Officer since January 25, 2013. Dr. Brown is one of our founders and has served as Chief Scientific Officer and director of Del Mar Pharmaceuticals (BC) Ltd. since inception. Dr. Brown has more than thirty years of drug discovery and development experience. He has served as Chairman of Mountain View Pharmaceutical's board of directors since 2000 and is the President of Valent. 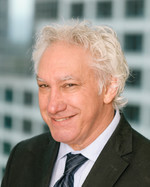 In 1999 he founded ChemGenex Therapeutics, which merged with a publicly traded Australian company in 2004 to become ChemGenex Pharmaceuticals (ASX: CXS/NASDAQ: CXSP), of which he served as President and a Director until 2009. He was previously a co-founder of Matrix Pharmaceutical, Inc., where he served as Vice President (VP) of Scientific Affairs from 1985-1995 and as VP, Discovery Research, from 1995-1999. He also previously served as an Assistant Professor of Radiology at Harvard University Medical School and as a Research Associate in Radiology at Stanford University Medical School. He received his B.A. in Biology and Chemistry (1971), M.S. in Cell Biology (1975) and Ph.D. in Radiation and Cancer Biology (1979), all from New York University. Dr. Brown is an inventor of many issued U.S. patents and applications, many with foreign counterparts. Scott Praill, CPA, BSc. has been our Chief Financial Officer since January 29, 2013 and previously served as a consultant to Del Mar Pharmaceuticals (BC) Ltd. From 2004 to January 2013, Mr. Praill was an independent consultant providing accounting and administrative services to companies in the resource industry. Mr. Praill served as CFO of Strata Oil & Gas, Inc. from June 2007 to September 2008. From November 1999 to October 2003, Mr. Praill was Director of Finance at Inflazyme Pharmaceuticals Ltd. Mr. Praill completed his articling at Price Waterhouse (now PricewaterhouseCoopers LLP) and obtained his Chartered Professional Accountant designation in 1996. Mr. Praill obtained his Certified Public Accountant (Illinois) designation in 2001. Mr. Praill received a Financial Management Diploma (Honors), from the British Columbia Institute of Technology in 1993, and a Bachelor of Science from Simon Fraser University in 1989.